Donatella Persico graduated in mathematics in 1981 and became researcher of the Italian National Research Council (CNR) in 1984. In 1985 she was aworded a scholarship as visiting fellow at the department of psychology of the University of Bradford, UK. In 1986 she joined the Computer Science department of Exeter University, UK, as a visiting scientist. In 2003 she was appointed senior researcher at CNR. In 2013 she was was visiting scientist at the Glasgow Caledonian Academy, UK. Since 1981, she has been active in the field of educational and training technology - theory and applications. Her major interests include methods and tools for learning design and evaluation, open and distance learning techniques, computer-supported collaborative learning, self-regulated learning, game-based learning and teacher training. She is author of educational material of various kinds (books, educational software, multimedia material) as well as of several research papers and essays concerning aspects of educational technology. She was lecturer of Educational Technology for the post-graduate school for secondary teaching of the University of Genoa from 2000 to 2006. She frequently lectures on various themes pertaining to her research interests. Since 2015, she is a member of the board of the doctoral school in “Phylosophy and Educational Sciences” of Cà Foscari university of Venice where she lectures on educational technology. She also occasionally supervises PhD students. 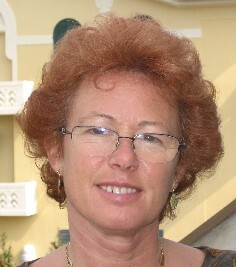 Since 2009, Donatella Persico has been editor of Italian Journal of Educational Technology (IJET), formerly TD Tecnologie Didattiche, one of the Italian top-ranking journals according to ANVUR, the Agency of the Italian Ministry of Education and Research in charge of the evaluation of the research Institutions. She sits on the editorial board and scientific committee of several national and international journals, sits on professional boards (e.g. the Scientific Committee of ITD, the Regional Committee of AICA, Comitato tecnico scientifico del centro Centro UniPR Co-Lab) and belongs to a number of professional associations (e.g. the Collaborative Knowledge Building Community, the Association for the Advancement of Computing in Education, the European Distance Education Network). Since 2015, she belongs to the doctoral board of the "Collegio di dottorato" (PhD board) of the doctoral programme in Philosophy and Educational Sciences of the Ca' Foscari university of Venice. She has organised and contributed to organise national and international conferences. From 2007 to 2015, Donatella Persico has been in charge of the CNR Networked Learning research strand ("Commessa Apprendere in Rete"). Pozzi, F., Persico, D. (eds) (2011). Techniques for Fostering Collaboration in Online Learning Communities. Theoretical and practical perspectives. Information Science Reference, Hershey:NY, pp.397. Dettori, G., Persico, D. (eds) (2011). Fostering Self-Regulated Learning Through ICT. Information Science Reference, Hershey:NY, pp.472. Bartolomé, A., Bergamin, P., Persico, D., Steffens, K., Underwood, J. (eds) (2011). Self-regulated Learning in Technology Enhanced Learning Environments: Problems and Promises. Proceedings of the STELLAR-TACONET Conference, Barcellona, October 1st, 2010, Shaker Verlag, pp.180. Delfino, M., Manca, S., Persico, D. (eds) (2006). Apprendimento online: Proposte Metodologiche, Edizioni Angelo Guerini, Milano, pp.267. Delfino, M., Manca, S., Persico, D., Sarti, L. (eds) (2005). Come costruire conoscenza in rete? Menabò edizioni, Ortona (Chieti), pp.223. Persico, D., Ferlino, L., Olimpo, G., Tavella, M., Tirendi, C. (eds) (2002). Atti multimediali del convegno TED 2002. Genova, 27 Febbraio-1 Marzo 2002. Persico, D. (ed.) (2001). Tecnologie Didattiche e scuola. Atti del convegno TED 2001, Genova, 12-14 Febbraio 2001. Stampato da Microart’s (Recco GE) (finanziamenti del Ministero della Pubblica Istruzione e del CNR per Convegno TED), pp.545. Midoro, V., Olimpo, G., Persico, D. (eds) (1996). Tecnologie Didattiche. Metodi e strumenti innovativi per la didattica. Menabò edizioni, Ortona (Chieti), 1996, pp.349. Persico, D., Sarti, L. Insegnare con l'intelligenza artificiale. CUEN, Napoli, 1988, pp.68. Ferraris, M., Midoro, V., Olimpo, G., Persico, D., Sarti, L., Tavella M. (chapters 1-6), Bottino R.M., Forcheri P., Molfino M.T. (chapters 7-11) (1987). Corso di Introduzione all'informatica. Dispensa studente e guida docente. SEI, Torino, pp.287. Pozzi, F., Ceregini, A., Ferlino, L., & Persico, D. (2016). Dyads Versus Groups: Using Different Social Structures in Peer Review to Enhance Online Collaborative Learning Processes The International Review of Research in Open and Distributed Learning (IRRODL), 17(2), 85-107. Pozzi, F., Bottino, R.M., Persico, D. (2014). Enhancing Human Capital in TEL Research: a case study from the STELLAR Network of Excellence. Computers in Human Behavior (CHB), vol.31, pp.425-431. DOI 10.1016/j.chb.2013.10.062. Persico, D., Pozzi, F. (2011). Task, Teams and Time: three Ts to structure CSCL processes, in F. Pozzi e D. Persico (eds). Techniques for Fostering Collaboration in Online Learning Communities. Theoretical and practical perspectives (pp.1-14). NY: Information Science Reference, Hershey. Delfino, M., Dettori, G., Persico, D. (2011). Influence of Task Nature on Learners Self-Regulation in Online Activities. in G. Dettori e D. Persico (eds) (2011) Fostering Self-Regulated Learning Through ICT (pp. 145-161). Hershey, NY: Information Science Reference. Delfino, M., Persico, D. (2011). Unfolding the potential of ICT for SRL development. In R.Carneiro, P.Lefrere, K.Steffens and J.Underwood (eds) Self-Regulated Learning in Technology Enhanced Learning Environments. A European Perspective. SENSE Publishers, Rotterdam, pp. 53-74. Persico, D., Pozzi, F., Sarti, L. (2010). A model for monitoring and evaluating CSCL. In ÂÂÂÂ Angel A. Juan,ÂÂÂÂ Thanasis Daradoumis, Fatos Xhafa, Santi Caballe, & Javier Faulin (eds), Monitoring and Assessment in Online Collaborative Environments: Emergent Computational Technologies for E-Learning Support, IGI Global, pp.149-170. Delfino, M., Manca, S., Persico, D., Sarti. L. (2010). Progettare e condurre l’apprendimento in rete: un corso blended per futuri insegnanti. ISDM – Informations, Savoirs, Décisions & Médiations - International Journal of Information Sciences for Decision Making, n. 39-656. Delfino, M., Dettori, G., Persico, D. (2010). An online course fostering self-regulation of trainee teachers, Psicothema, 22(2), 299-305. Persico, D., Pozzi, F., Sarti, L. (2010). Monitoring collaborative activities in Computer Supported Collaborative Learning, Distance Education, 31(1), 5-22. Persico, D., Pozzi, F., Sarti, L. (2009) Design Patterns for Monitoring and Evaluating CSCL Processes, Computers in Human Behavior, 25(5), 1020-1027. Alvino, S., Persico, D. (2009). The relationship between assessment and evaluation in CSCL. in Cartelli A. e Palma M.(eds.) Encyclopaedia of Information and Communication Technology, vol. II, (pp.698-703), Hershey, NY: Information Science Reference. Persico, D., Pozzi, F., Sarti, L.(2009). Fostering collaboration in CSCL, in Cartelli A. e Palma M.(eds.) Encyclopaedia of Information and Communication Technology, vol. I, (pp. 335-340), Hershey, NY: Information Science Reference. Dettori, G. Persico, D. (2009). Supporting Self-Regulated Learning with ICT. In Cartelli A. e Palma M.(eds.) Encyclopaedia of Information and Communication Technology, (pp.735-741), Hershey, NY: Information Science Reference. Delfino, M., Persico, D.(2009). Self-regulated learning: issues and challenges for initial teacher training, in L.T. Wee Hin and R. Subramanian (eds) Handbook ofÂÂÂÂ Research on New Media Literacy at the K-12 Level: Issues and challenges, IGI Global:Hershey-New York, pp.839-854. Manca, S., Benigno, V., Persico, D. (2009). Self, virtual identity and learning processes in communication technologies.Editoriale in tre lingue del numero 4(1) di QWERTY, pp.5-17. Dettori, G., Persico, D.(2008). Using Interaction Analysis to Reveal Self-Regulated Learning in Virtual Communities. in Dillenbourg, P., Specht, M.(eds.) Times of convergence. Technologies across learning contexts, (pp.1-14), Lecture Notes in Computer Science, Vol. 5192, Springer Berlin/Heidelberg. Delfino, M., Dettori, G., Persico, D. (2008). Self-regulated learning in virtual communities. Technology, Pedagogy and Education, 17(3), 195-205. Dettori, G., Persico, D. (2008). Detecting Self-Regulated Learning in online communities by means of interaction analysis. IEEE Transactions on Learning Technologies, 1 (1), 11-19.